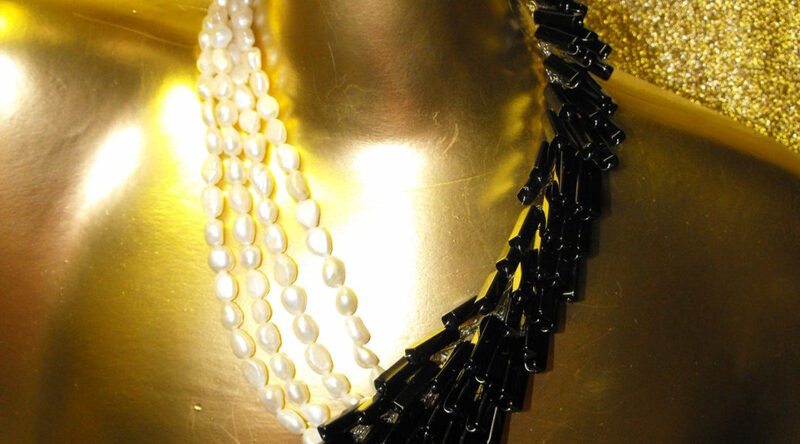 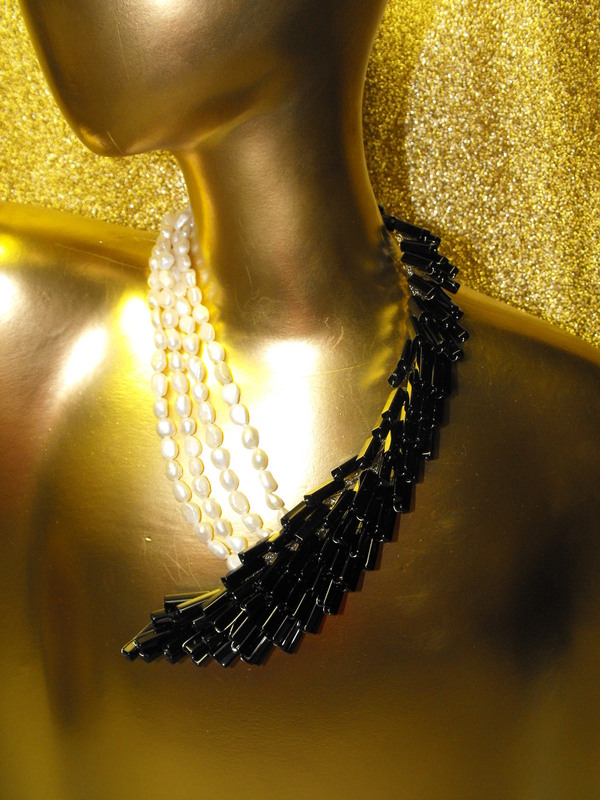 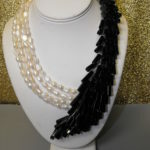 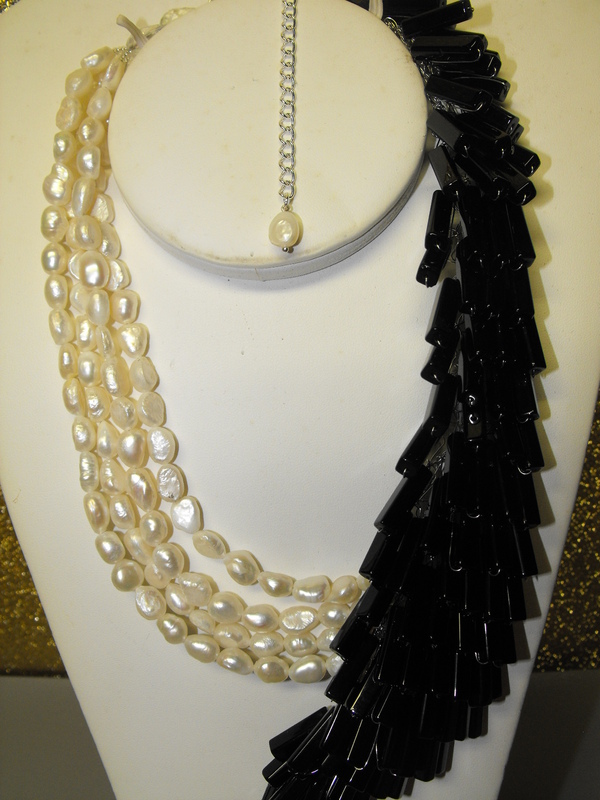 This necklace consists of 4 strands of Freshwater Pearls cascading down the left hand side of the necklace to meet with a waterfall of Black Onyx Glass cascading down the right side in a Retro Art Deco Design. 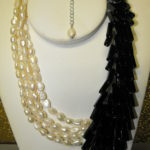 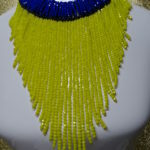 The total length of the necklace is about 10 1/2 ” with a 3″ extension chain and lobster claw clasp. 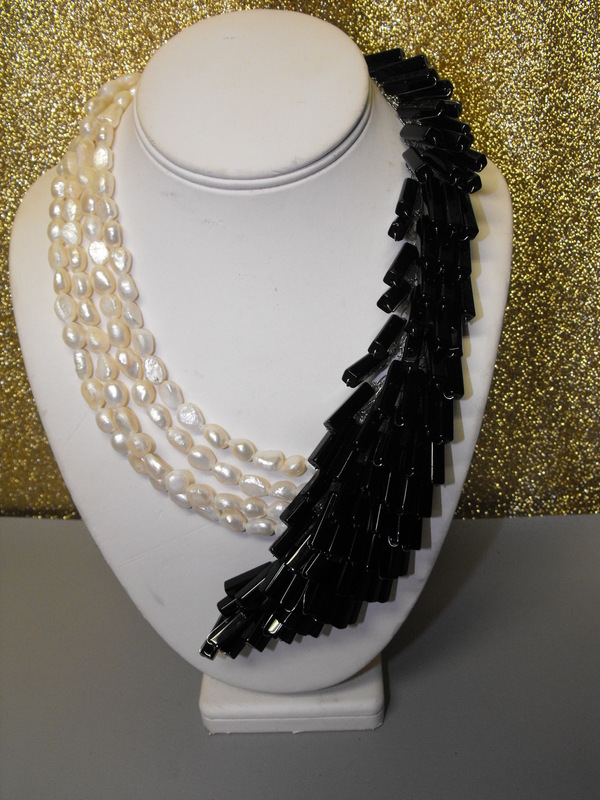 Elegance at its best when you make a black & white statement.